Anemia is a medical condition associated with iron deficiency. Many people with iron deficiency experience low energy, shortness of breath, headaches and dizziness – symptoms that develop when your red blood cell count (or hemoglobin) is lower than normal. The most common cause of anemia is low iron levels in the blood. Without iron, red blood cells become low in hemoglobin, which prevents oxygen circulation throughout the body. It’s easy to overlook the signs and symptoms of anemia because they mirror so many other conditions. In fact, most people don’t know they have anemia until they take a blood test. 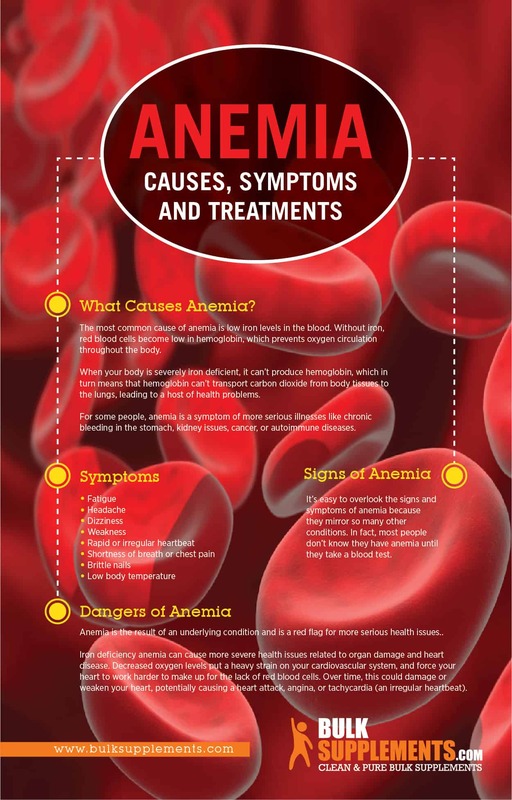 Anemia is the result of an underlying condition and is a red flag for more serious health issues..
Iron deficiency anemia can cause more severe health issues related to organ damage and heart disease. Decreased oxygen levels put a heavy strain on your cardiovascular system, and force your heart to work harder to make up for the lack of red blood cells. Over time, this could damage or weaken your heart, potentially causing a heart attack, angina, or tachycardia (an irregular heartbeat) (x). Iron deficiency anemia is the most common type of anemia. It occurs when there’s not enough iron in the body. It’s usually caused by slow, chronic blood loss within the body associated with digestive system problems, heavy menstrual cycles, or health conditions that cause poor iron absorption (x). Vitamin deficiency anemia specifically results from low or depleted levels of vitamin B12 or folate (folic acid). Anemia and pregnancy. Anemia may occur during pregnancy since the body produces more blood to support the growth and development of the baby. Since the excess blood the body produces helps provide nutrients for the baby, not the mother, pregnant women are sometimes at risk of developing anemia (x). Aplastic anemia is a rare bone marrow disorder that occurs when your immune system starts attacking stem cells that produce blood. If you have aplastic anemia, your body stops producing enough new red blood cells, white blood cells, and platelets (x). Gingko biloba has been shown to improve blood circulation by dilating blood vessels and increasing blood flow to the legs, ears, eyes and brain (x)(x). Capsaicin contains compounds that promote blood flow more easily, thereby increasing circulation and improving blood vessel strength (x). Ginger root is a common household herb that can limit the amount of cholesterol absorbed in the liver and blood. It acts as a natural blood thinner and could lower high blood pressure and promote healthy circulation (x). Iron plays a role in energy production, immune function and more, making it a vital mineral for overall health. Incorporating iron-rich foods in your diet can help alleviate iron deficiency anemia, but if your anemia is severe, you might need to add iron supplements to your nutrition routine. Iron rich foods include: sweet potatoes, beef, turkey, chicken, shrimp, spinach, broccoli, and kale. Talk to your doctor before taking iron supplements to determine the best dosage for you, especially if you have a history of anemia. Ferrous Fumarate: As a dietary supplement, take 900 mg (weighted 1/6 tsp) once daily, or as directed by a physician. Ferrous Gluconate: As a dietary supplement, take 900 mg (weighted 1/6 tsp) once daily, or as directed by physician. 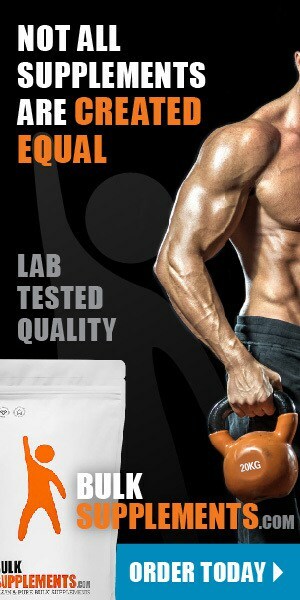 When starting iron supplements, some people report an upset stomach, constipation, diarrhea, and black stools. To combat these side effects, try taking the iron supplement with food. Wait at least two hours after taking an iron supplement before drinking milk or eating other calcium-rich foods, or before taking antacids. Think of anemia as your body sending a warning signal: it’s a sign that oxygen isn’t flowing to your organs, and could be indicative of a serious health condition. If you think you may have anemia, make an appointment with your doctor as soon as possible: the sooner you treat anemia’s underlying cause, the better you’ll feel. Make sure you’re getting enough iron in your diet to reduce the risk of developing anemia, and if needed, try taking iron supplements to stay healthy. 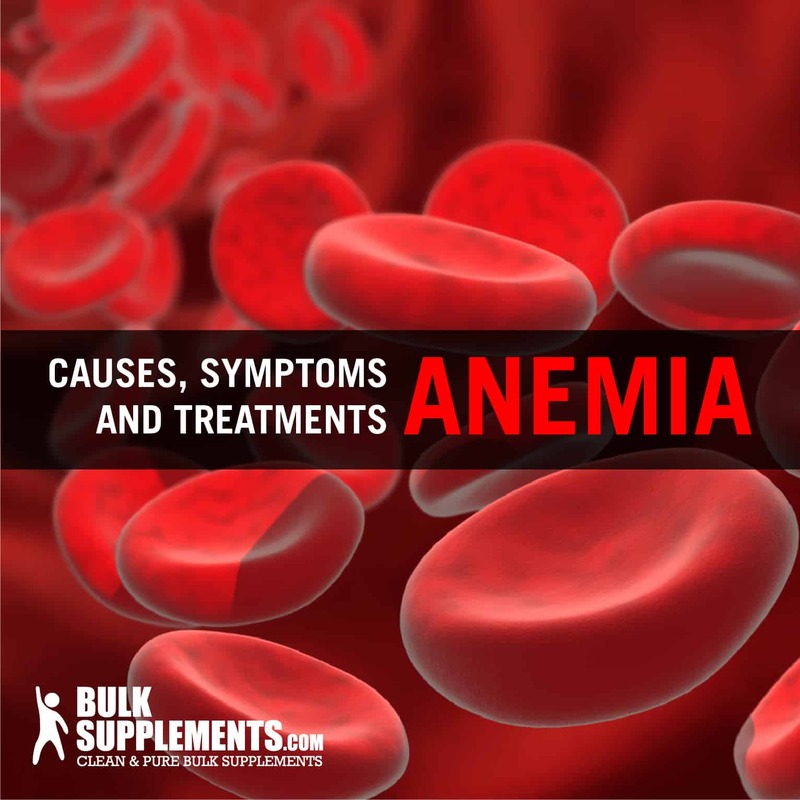 With sound nutrition and a doctor’s supervision, anemia is easy to treat.